Have you used our services and have something to say? Please let us know. Thanks guys for helping me out with my waterproofing. The guys that performed the job were great and were very hard-working. Cleaned up very well and quality of work was outstanding. Would just like to thank the guys at Canada Waterproofers. It was a pleasure having these guys at my house. Carl was a pleasure to work with and he is the most polite guy that I have met in a long time. The quality of waterproofing was great and I would recommend them to anyone that needs waterproofing done to their home. I had a leak in my basement as the snow started to melt. After that happened I called Canada Waterproofers, and a technician Slava came to inspect it within hours after my call. Turns out it wasn’t a wall problem. It was my window leaking because the window well wasn’t installed properly and didn’t have a drainage pipe. The next day after the initial visit a crew came in the morning, dug down to the footing and waterproofed the wall, with a proper drainage tube up to the top of the soil in the window well. Finished with gravel and clean all around. Amazing work. I highly recommend them. Great price for work done. Had a water line burst at an apartment building, after calling numerous companies and getting ridiculously high quotes I called Canada Waterproofers. They came right away and finished the job quickly and for a great price! I would recommend them to anyone looking for professional work at great prices! Would like to thank your team for completing such a high standard of waterproofing at my home. I did a lot of research on waterproofing before I got any quotes, and I am very happy to say that your company went way beyond any recommendation that I found. Carl was very professional and he knew his stuff, and the crew that worked on my project were just amazing. The level of detail that your guys showed was the best I’ve ever seen. I really hope that you pay them well as they are worth every cent. Thank you to Oliver, Robert and Carl for such a professional service. I called Canada Waterproofers because my basement got flooded with the heavy rains (many possessions were damaged) and I wanted a permanent solution so it didn’t happen again in the future. A technician came to my house at a time that was convenient for me, and gave me a reasonable estimate and valuable information regarding a rebate program for backwater valves and sump pumps available for houses in the GTA area. I decided to proceed with the job and it was carried out to my satisfaction, plus I got some money back and a 25-year warranty. Can’t beat value. Now when it rains I have the peace-of-mind that my basement will be very dry and also if something goes wrong I can call them and they will come back to fix it. Definitely would recommend this company to anyone. I watched many videos and did tons of research before I started to look for a waterproofing company and when I found these guys I knew that they were the company for me. Slava explained everything the way I expected and he also went way beyond what any other company had explained, which made me very impressed. I watched the guys do the work from start to finish and I have to say you would think that they are perfectionists, as they take every little detail into consideration and they do everything they said they would and more. I am very impressed with this company and I am not easy to impress. Thank you Canada Waterproofers. Wow! I think that these guys are machines. I couldn’t believe how strong these guys are and how much attention to detail they have. Carl and Slava were just amazing and the knowledge that they have is just amazing. Every step was explained to me in detail and I can now honestly say that I understand how waterproofing really works. Thank you guys for a great job. My name is John and I live in Mississauga.  I just want to say thank you to the team and Canada Waterproofers for performing an excellent job at my property. I would recommend these guys to anyone that wants a reliable and honest company that does very good work. Thankyou. Thank you for such a great job. Your guys were just awesome and the technician that came explained everything very well and was so knowledgeable. Thank you.